Badger State Consulting provides electrical consulting, design and inspection services throughout Wisconsin. The firm focuses on small to midsized commercial projects of all kinds. Based in Wausau, WI with an office in Kaukauna, WI, it currently has two employees. 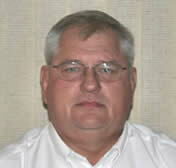 Owner Ron Janikowski founded Badger State Consulting in 1984. Since retiring as the electrical inspector for the City of Wausau in 2009, Mr. Janikowski has been devoted full-time to his consulting business. He purchased Design Master Electrical in 2012. “Competing programs can cost thousands of dollars. Design Master does a lot for us and doesn’t cost nearly that much. I pay for it monthly, which is very convenient and affordable,” adds Mr. Janikowski. “If you run into trouble they’ll just take over your computer remotely and straighten things out while you watch. Even the documentation is good,” Mr. Janikowski says. “Design Master lets you make changes so quickly that clients can e-mail me changes wherever I am and I can turn revisions around in real-time,” Mr. Janikowski notes. “My associate John and I keep our Design Master files up ‘in the cloud’ using DropBox so we can work on them simultaneously from our respective home offices. “This makes me very easy to do business with and makes us look good in front of customers—they love it!” chuckles Mr. Janikowski. “Having been an electrical inspector for over 30 years, I know the permitting process and what inspectors look for,” Mr. Janikowski relates. “Often I’ll e-mail an inspector a PDF straight from Design Master and essentially get ‘preapproval’ or find out if there’s something else they want to see. “Inspectors love that! They don’t want to go on a job site. They want to look at this stuff in an office. This makes the whole process flow so much better. “That’s one more reason Design Master Electrical is worth its weight in gold,” Mr. Janikowski recaps.